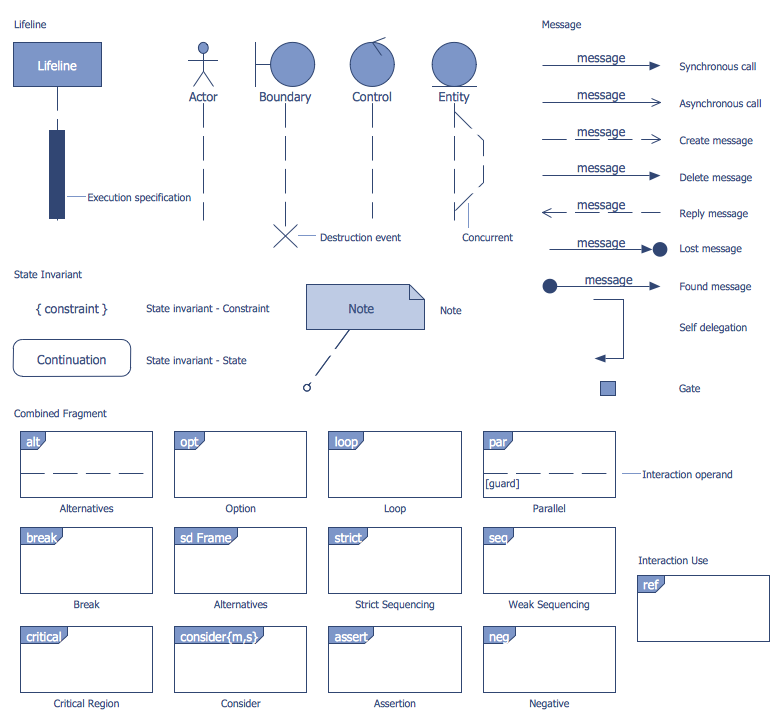 ConceptDraw DIAGRAM diagramming and vector drawing software enhanced with ATM UML Diagrams Solution from the Software Development Area of ConceptDraw Solution Park is a perfect tool for fast and easy creating the Bank Sequence Diagram. ATM UML Diagrams Solution provides 14 libraries with 182 vector objects for easy design Bank UML Diagrams of any type, including Bank Sequence Diagram. Use of ready predesigned objects is the fastest way of drawing. It is a Bank UML Sequence Diagram library from ATM UML Diagrams Solution which is specially intended for drawing Bank Sequence Diagram. This sample was created in ConceptDraw DIAGRAM using the predesigned objects from the Bank UML Sequence Diagram library of ATM UML Diagrams Solution. 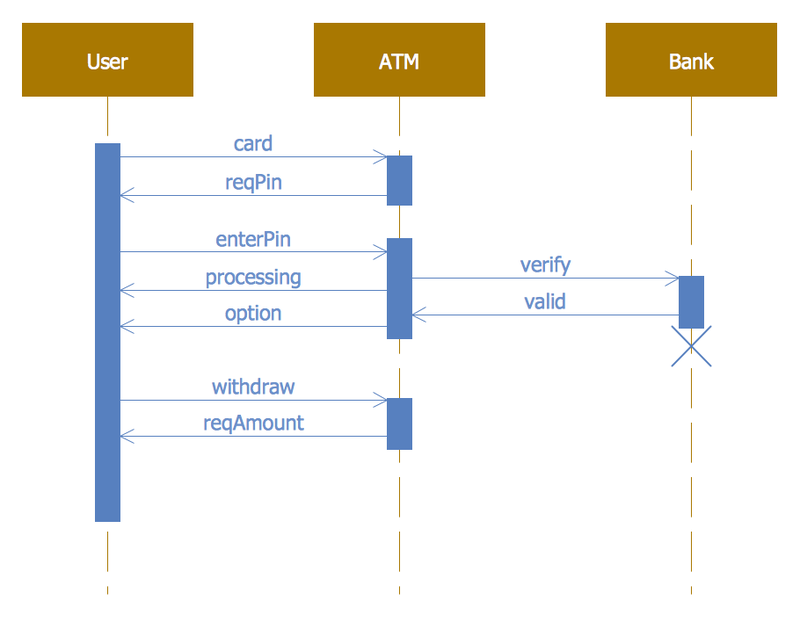 It shows the interactions and transactions between customers, ATM and bank on the Bank Sequence Diagram. An experienced user spent 10 minutes creating this sample, it is included in ATM UML Diagrams Solution and available from ConceptDraw STORE. Use the ATM UML Diagrams Solution for ConceptDraw DIAGRAM software to create your own professional looking Bank Sequence Diagram of any complexity quick, easy and effective. All source documents are vector graphic documents. They are available for reviewing, modifying, or converting to a variety of formats (PDF file, MS PowerPoint, MS Visio, and many other graphic formats) from the ConceptDraw STORE. 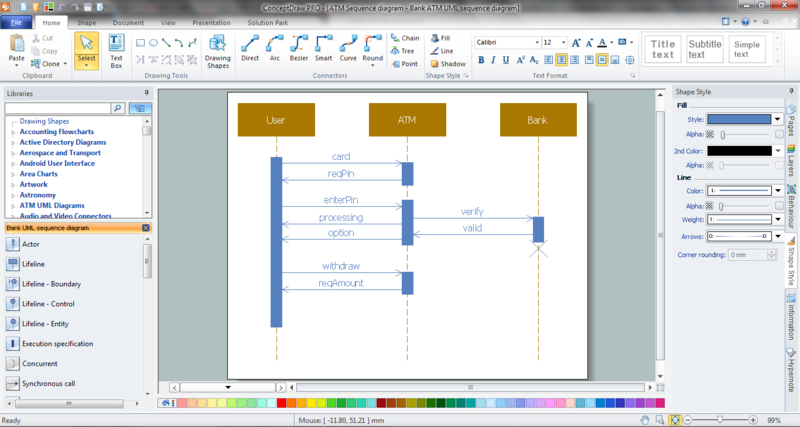 The ATM UML Diagrams Solution is available for all ConceptDraw DIAGRAM users.